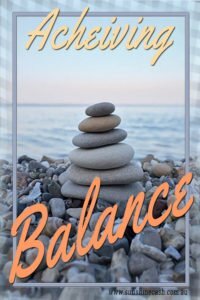 Ahh the elusive subject of “Balance” It can start out with such good intention and quickly spiral out of control and, before you know it, you are back to square one. Often your life might seem like a never-ending game of “Snakes & Ladders”. Forever taking one step forward and three steps back, until maybe – finally you get a lucky roll of the dice. So what CAN you do to create balance and momentum ion your life to achieve your 10/10 life. Get REALLY specific here. What does your perfect life look like? Break your life down to these areas and write a few pages of what “perfect” looks like for you. Rate each area out of 10, don’t think too hard about it. Now write down what each area would look like if it were a 10. 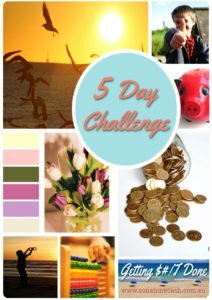 What can you do this month to improve each area by just ONE STEP? This is the best way I have found to set realistic goals for my life, not trying to jump ahead too much at once. Eg: Set yourself a goal of losing just 1 kg this month. Simple? Probably, now duplicate that each month and you will have lost 12kg in a year. Step 2: Plan your Days. Schedules and To-Do lists need not be restrictive. In fact if they are too tight, you are far more likely to not stick to the plan. Look over your life goals and plan to move those areas up one step. Get creative. Want to exercise more and have more time to read? Use your commute time, walk one extra bus stop, park a little farther way. During your commute, read a book rather than a trashy magazine, or if you drive, listen to audio books or podcasts rather than talkback radio. Don’t minimize the time available to do the things you want to do, particularly if they are contributing to your life goals or wellbeing. Include ‘me” time around other essential life activities that require your time and attention. Most people who create a daily plan, keep to it for a while, but not long enough for it to become a habit. Habits take around 28 days to form, so if you want your new plan to work and lifestyle to be improved, you must protect it at all costs.. Eventually, the changes you implement will become second nature, but until then, you need to stay in control of your plan. Have a look over your plan every day to remind yourself of where you want to be. Think of your plan as a roadmap to your perfect life. Just like any journey, there may be some roadblocks or detours, but if you just follow the map you will arrive at your destination. Want to learn more? 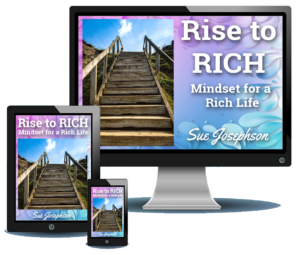 Join me on my Rise to RICH Programme and create YOUR perfect 10/10 life. Filed Under: Courses, Inspire It.